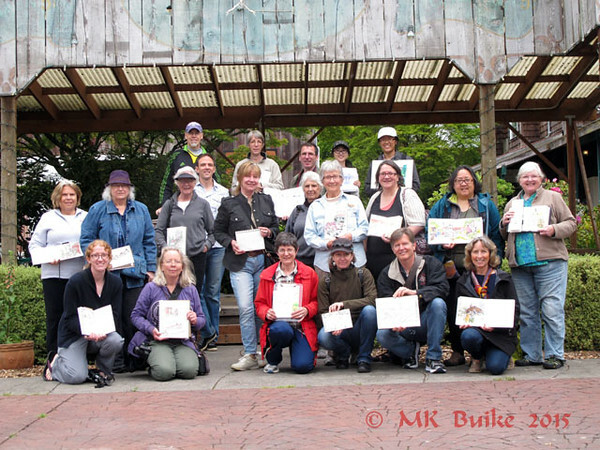 Urban Sketchers Seattle: I wanted to sketch everything! I wanted to sketch everything! 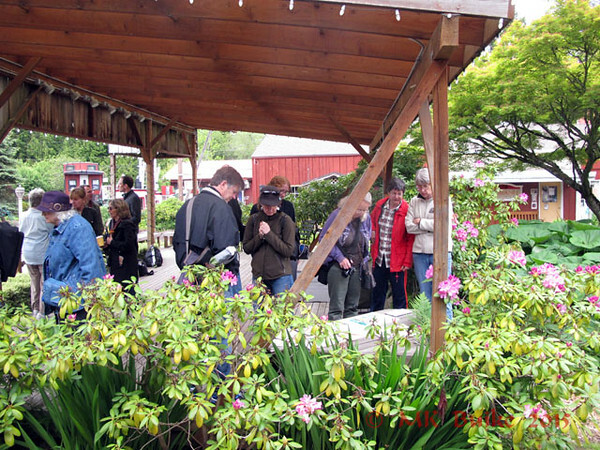 Once again, Urban Sketchers Seattle met at a place I'd never been: The Country Village Shops in Bothell. There was a scene I wanted to sketch everywhere I turned. I'd go back every day if it wasn't 30-90 minutes away (30 min on Sunday; 90 minutes the rest of the week!). The property started as a farm, with the original farmhouse built in 1901. Since then, the property has had a checkered existence, declining to a "den of thieves" in the mid 1960's. It was saved by Rod Loveless, a residential land developer, in 1979. 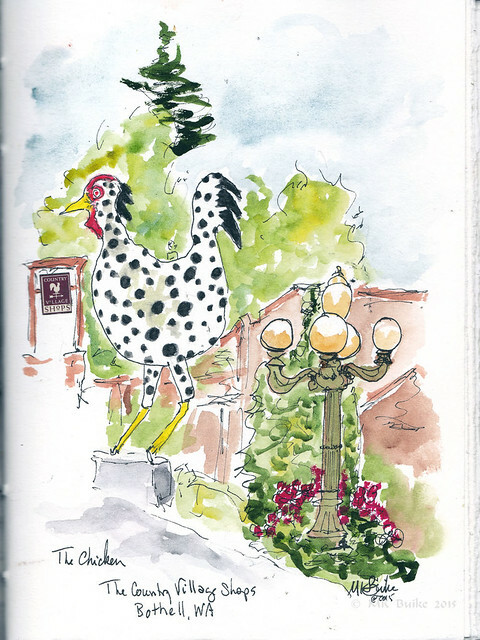 When I looked at the site on the internet, I knew right away my first sketch would have to be this crazy chicken! It was built in 2006 when Rod decided the Village needed a mascot. It is made of recycled chunks of styrofoam and fiberglass. The chicken is 16 feet tall. Though it looks old, the Courtyard building was completed in 1994. I had just 10 minutes before meeting back up with the other sketchers. 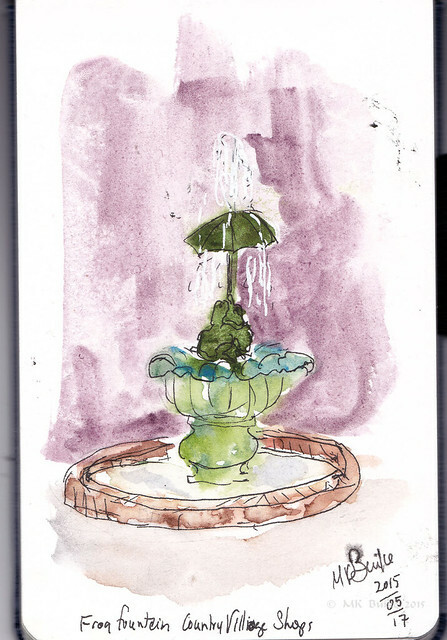 I dashed off this sketch of the frog fountain in my pocket sketchbook. There were several new people today. We shared our sketches and then had a group photo. I have more photos of sketchers and from around the property here. 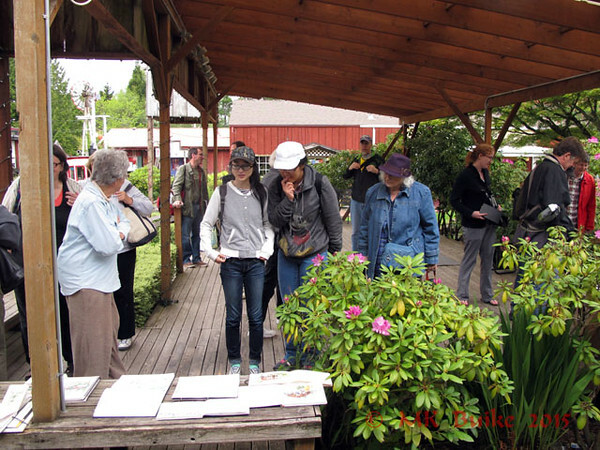 Great location, fun outing! Thanks for the lovely sketches and photos. 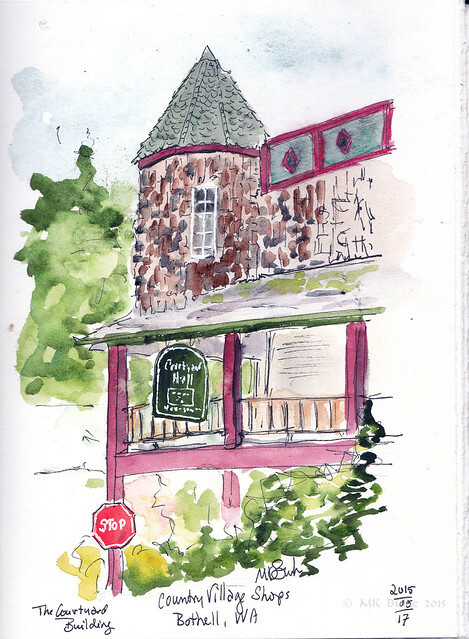 I'd love to sketch there again.